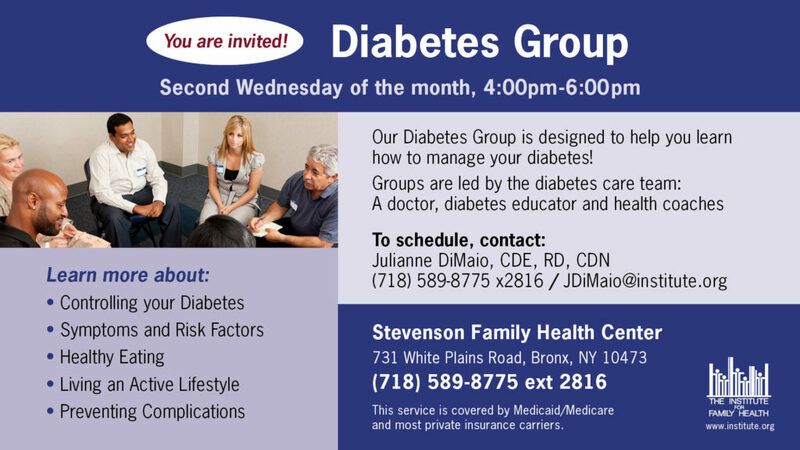 A weekly diabetes group designed to help people living with diabetes learn how to manage this condition. 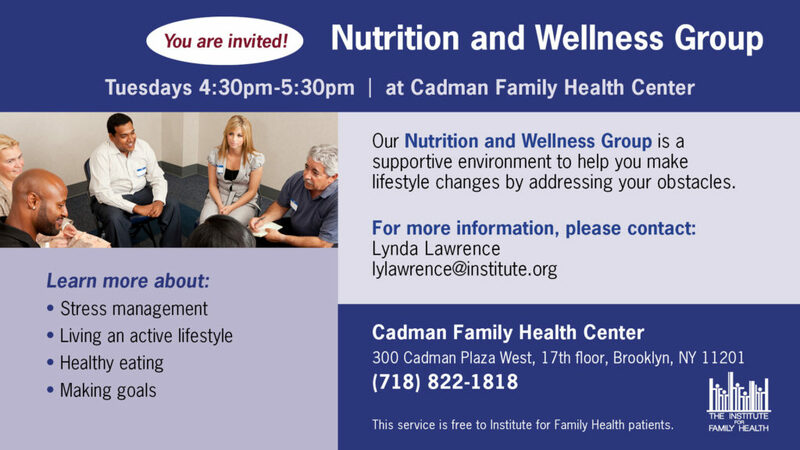 Patients will learn more about controlling their diabetes, symptoms and risk factors, healthy eating, living an active lifestyle, and preventing complications. Groups run every Monday for 8 weeks and are led by the diabetes care team: a doctor, diabetes educator, and health coaches. This service is covered by Medicaid/Medicare and most private insurance carriers.